Jael (jay-ell) Richardson is the author of The Stone Thrower: A Daughter’s Lesson, a Father’s Life, a memoir based on her relationship with her father, CFL quarterback Chuck Ealey. The Stone Thrower was adapted into a children’s book in 2016 and was shortlisted for a Canadian picture book award. Richardson is a book columnist and guest host on CBC’s q. 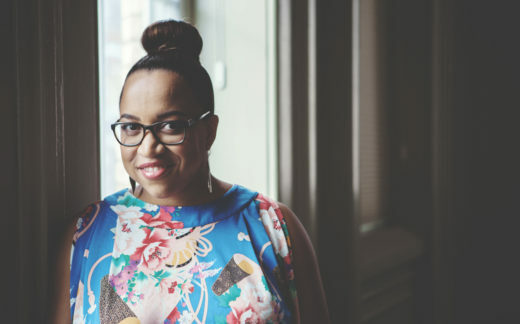 She holds an MFA in Creative Writing from the University of Guelph and lives in Brampton, Ontario where she founded and serves as the Artistic Director for the Festival of Literary Diversity (FOLD). Her debut novel, Gutter Child, is coming Fall 2020 with HarperCollins Canada.